Recently, we got a huge leak on Google's next Pixel which is Google Pixel 3 XL. Today, a new video shows off the Pixel 3 XL which reveals some major information about the phone. Posted by the same guy who is a Ukranian blogger which shared the earlier unboxing video, a new clip shows off the Pixel 3 XL’s software as well as benchmarking the device which reveals some key specifications. When opening the Antutu application, the Pixel 3 XL shown in this video reveals first and foremost a monstrous display (via Android Police, Telegram). The 2960×1440 panel lands at a whopping 6.7-inches – nearly an inch bigger than the Pixel 2 XL. 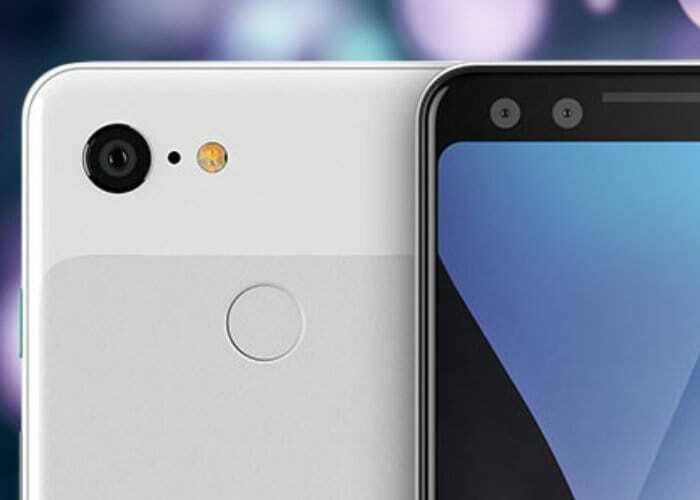 We had heard before that the Pixel 3 XL would have a slightly bigger screen, but this is obviously quite a bit larger than we were expecting. Personally, I think this might be pushing the boundaries, because even Samsung’s Galaxy Note 9 with its slim bezels and 6.4-inch display feels way too big even to me. The spec list confirms a 3,430 mAh battery, and also lists a 12.2MP rear camera and multiple 8.1MP front-facing sensors. The app lists three sensors, but only two have been mentioned in past leaks. Most likely, this is just an error within the app caused by this early hardware. The list also confirms the Snapdragon 845 chipset, 4GB RAM, 64GB of storage, Android 9 Pie, and also the Adreno 630 GPU. A couple of other tidbits from this leak include the SIM tray now on the bottom of the phone, as well as the teal power button just like last year’s Pixel 2. Leaks of the Pixel 3 XL continue dropping as we approach Google’s official reveal, but with so much information and hardware like this floating around the web, it’s getting a bit harder to believe that Google will actually wait until October 4th.